Tickets are £15 ADV and are on sale now. They can be purchased online from Skiddle or physically from The Pennyweight. One of my friends, Paul, who is something of a music afficianado advised there are some acts on the bill he would pay at least that much to see on their own (think he’s a PINS and Lovely Eggs fan), let alone as part of such a rich progamme, and as a consequence I bought my ticket today at The Pennyweight on Darlington Market Square. Get train. Get off train. Find yourself in the heart of the action. See some great music and comedy in Darlington. Get train back home. That is the basic premise of Last Train Home, a new music and comedy festival coming to Darlington on Saturday 22nd September 2018, although as a Darlington resident living near the station and working in the Town Centre I’m sure there’ll be a warm welcome for those travelling to and from the venues hosting a fantastic programme on foot, by bike, bus, car, motorcyle, or scooter as well. The event is organised by Darlington music collective Tracks in association with Arts Council England & Creative Darlington and working alongside Hilarity Bites Comedy Club, NARC. Magazine and Legitimate Anarchy (a Darlington based hip-hop record label). The festival utilises the venues/spaces around the town’s main train station (including Theatre Hullabaloo, Hogans, St John the Evangelist church, The Greyhound, Bank Top Central & Legacy Skate Store) as well as Darlington’s excellent transport links, showcasing a plethora of touring, regional and local talent and finishing in time for festival goers to catch the last train home. 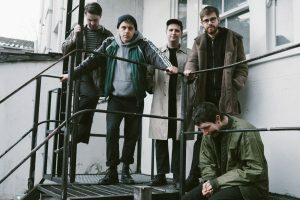 Headlining The Hullabaloo stage are Manchester five-piece PINS who recently performed as part of Lauren Laverne’s GET North event at Sage, Gateshead debuting a storming new line up featuring two drummers. The band’s EP Bad Thing, saw the band working with the likes of Iggy Pop and Jamie Hince (The Kills) which received radio support from the likes of Lauren Laverne and Steve Lamacq at 6Music. The penultimate act on the bill are Peckham-formed, viciously loud YOWL who capture the frustration of the 9-to-5 London grind like few others and in frontman Gabriel Byrde, they have someone who can spin poetry on songs about alienation and exhaustion. They’ll be joined by hotly tipped Scottish 4-piece, The Van T’s whose ‘surf-pop with rock swagger balanced by sugar-pop harmonies’ have gained the attentions of radio DJs and music publications around UK and Europe. Joining them are York’s dark hypnotic, post-punk popsters The Howl & The Hum, blues rock busker and online sensation Cam Cole, experimental electro band, Ronald Raygun, tender-psych outfit Sonder Minds and Teesside indie-rockers Salsola. 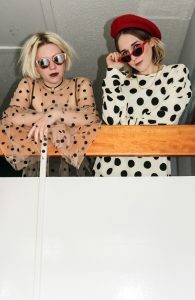 Bringing the Hogans stage to a close are The Lovely Eggs, an underground surreal-psych punk rock duo from northern England. With observational and often surreal lyrics about life The Lovely Eggs have a powerful stripped down sound: one vintage guitar amp, one Big Muff distortion pedal, a guitar and a drum kit. With seven BBC 6 music sessions under their belt, as well as sessions for Radio One and XFM, The Lovely Eggs have enjoyed huge support from BBC 6 Music. Marc Riley declared their last THREE singles “ I Shouldn’t Have Said That”, “Drug Braggin” and ”Goofing Around (in Lancashire)” his official top tracks of 2015, 2016 and 2017 with the band also attracting airplay from DJs Huw Stephens, Steve Lamacq, Lauren Laverne, Chris Hawkins, Gideon Coe, Shaun Keavney, Radcliffe and Maconie and Jarvis Cocker. The latest “This Is Eggland” was produced and mixed by Dave Fridmann (Flaming Lips, Mercury Rev, Mogwai, MGMT, Tame Impala) at his studio in upstate New York. It was released in February 2018 to critical acclaim. With 5 and 4 star reviews in the national press (including The Independent, Record Collector, Louder Than War, Shindig and Morning Star, the album went straight to Number 9 in the Independent album charts. Uncut Magazine described it as “Exhilarating and trashy”, The Guardian as “marvellous”, “yes that good!” from The Quietus and “unrelenting” from Pitchfork. In February the pair headed out on a 10-date sold out tour of the UK with poet and comedian Phill Jupitus, producing their very own tour zine (to accompany the new album) and playing rammed chaotic shows to an army of growing fans. Also announced for that are Vulgarians who have gained fan support from The Wytches, Baby In Vain and Weirds, with The Wytches personally inviting Vulgarians to be their tour support in late 2015. 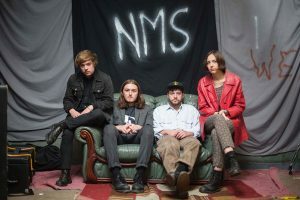 Prior to the release of Life’s Successful Death last year, the group were asked by 6 Music Steve Lamacq to perform on the BBC Introducing Stage at The Great Escape, ahead of their first headline tour through summer. From there the band have gone on to support the likes of Happy Meal Ltd, TRAAMS, Gang and Weirds. Completing the line up are the much hyped, energy rich hip-hop trio RoninClan, hotly tipped dirty reverb-soaked indie rock n rollers, Courtyards, The Mysterines – A bluesy, chiller psych trio who supported Miles Kane on his recent tour and local garage rock outfits The Salvadors, Oilbirds and Petals. 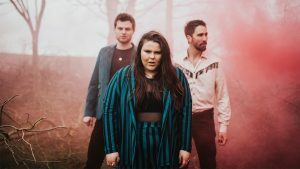 Recently announced headliners of the St John’s church stage are Bang Bang Romeo, a Doncaster-based 3-piece, fronted by a 22 year old female vocalist with a truly show stopping ‘once in 20 years voice’ that is unrivalled. They have been honing their craft, receiving rave reviews along the way and this Summer have been playing all the big UK festivals. Bang Bang Romeo herald the arrival of a truly unique, fresh talent that their forthcoming debut album demonstrates perfectly. Featuring many one-take tracks the album takes the listener on an unforgettable journey and has all the makings of a classic. 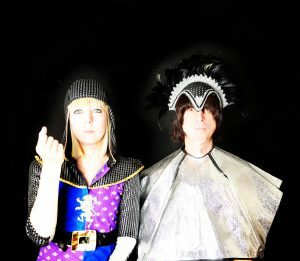 Their music has been described as sounding “…like a Tarantino soundtrack” (Huw Stephens, BBC Radio 1) and “like a hard-edged Fleetwood Mac” (Radio X). Joining them is Futureheads frontman and solo artists, Barry Hyde. English post-punk band The Futureheads are one of the best-known and highly-regarded indie groups to have enjoyed mainstream success in the noughties. With singles such as ‘Decent Days and Nights’, ‘Hounds of Love’, and ‘The Beginning of the Twist’ cemented as modern classics, the band have scored 7 top 40 singles, 3 top 40 albums, and played hundreds of live shows across the globe. Over the course of 13 years, The Futureheads played every major music festival in the world and supported bands such as Oasis, Foo Fighters, Muse, Pixies and Queens of the Stone Age at major concerts in different continents. Frontman and creative force behind the band, Barry Hyde, will be returning to the stage, performing solo acoustic guitar shows of the anthems everyone knows and loves. The set will include songs from all five Futureheads albums and also a few choice songs from his critically acclaimed debut solo album ‘Malody’, released last year on his own Sirenspire Records. Also announced for that stage are hotly Songwriter Tom Joshua who attracted support from BBC 6 Music and BBC Radio 2’s Jo Whiley. Alongside him is folk songstress Samantha Durnan, Rising country star Hayley McKay, melody rich acoustic act James Gray Robson, gospel blues gang The Dead Seat and roots/folk band Peg Powler. Local music/culture magazine NARC are taking over the Bank Top Central stage. Their line up is filled with a plethora of excellent regional talent and headlined by Harri Endersby. 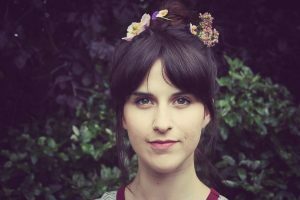 Growing up in County Durham and its thriving folk scene, Harri Endersby’s music has been heavily influenced by the region’s crowd of prestigious folk singers and musicians, her lyrics being firmly rooted in the pastoral and the world of storytelling. Her new album ‘Homes/Lives’ presents a transition in style, beginning with acoustic, stripped-back tracks whilst gradually introducing electronic instrumentation and beats as the album progresses. This interweaving of genres has been inspired by Harri’s love of Icelandic electro-folk and the likes of Ásgeir and Samaris. Her 5-track EP ‘Ivy Crown’ released in 2014, rose to number 17 in the iTunes singer-songwriter charts and had tracks played on BBC Newcastle Introducing, The Folk Show on Bishop FM, and Roger William’s ‘World of Difference’. Her new album ‘Homes/Lives’ was released on the 25th February 2017. Joining her is Newcastle’s alt-pop artist Martha Hill who has toured the UK and Europe twice, and has released her debut single “Spiders”. Completing the line up is gritty, gospel inspired singer/ songwriter Eve Conway, gothic psych act Sticky Pearls, electro duo Talk Like Tigers, alt-rockers Duchess and indie quartet Dolphin Centre. Darlington hip-hop label, Legitimate Anarchy’s stage at Legacy Skate Store is brimming with hip-hop talent including Shakk, Rex Regis, Liam Hope, Endem & Leum, Jister, & Kv$hnoodle. “We’ve went for a bit of everything. From chill-hop in Jister, angsty alt-hop from Kush and grime 140 from Liam Hope, there’s something for every type of rap/hip hop fan.” explains stage curator Nathan Miller of Legitimate Anarchy. The whole line up for the day includes Cal Halbert, deemed ‘the new generation of comedy’ by Michael McIntyre. A well known as an impressionist, Halbert is one half of ‘The Mimic Men’, the UK’s only impressionist double act! The Mimic Men appeared on Britain’s Got Talent in 2016, gaining four yeses accompanied by a standing ovation by the judges, audience and Ant and Dec.
Doug Segal will be looking to wow the audience with amazing feats of mind reading/mind control mixed with his own brand of comedy. 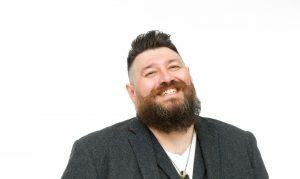 Described by Time Out as “the UK’s best kept entertainment secret”, Doug was the winner of the Best Cabaret Award at the Brighton Fringe in 2012, and the Three Weeks Editor’s Award at the Edinburgh Fringe also in 2012. Doug has appeared on BBC One’s New Year’s Eve live show alongside Natasha Kaplinsky and Claire Balding which was seen by an audience of 9.5 million viewers and in 2014 Doug enjoyed a successful tour of the UK with his critically acclaimed show, I Can Make You A Mentalist. Ruth Cockburn (whose play “Saturday Boy” was also nominated for Best new writing in Buxtons” Fringe 2008), Sully O’Sullivan (declared a highlight of the New Zealand International Comedy Festival by The NZ Herald and a highlight of the Glasgow International Comedy Festival by The Scotsman), John Whale (semi-finalist of ‘So You Think Your’re Funny?’ and has performed twice for BBC Comedy Presents, the second time being at the Edinburgh Festival), Rob Mulholland (current Hilarity Bites New Act of the Year) Stephanie Laing’s (who performed at Edinburgh Festival in 2010, 2012, and 2015), and Nicky Wilkinson (one-half of multiple award winning double-act The Kagools and resident compere at the award winning Funny Side Comedy clubs).